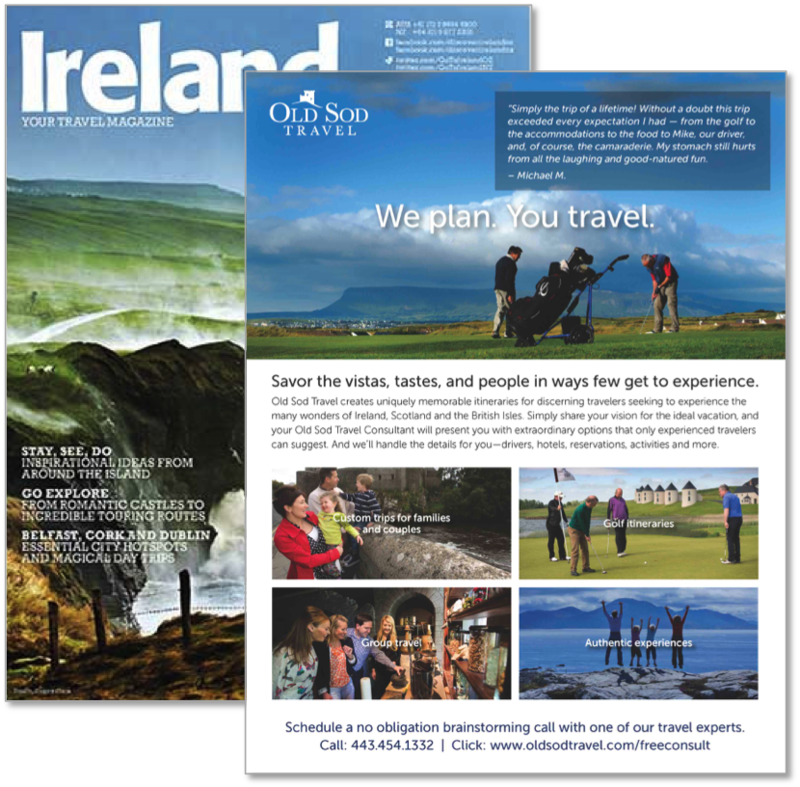 Old Sod Travel plans trips to Ireland, Scotland and the British Isles for upscale travelers and golfers. The company sought to improve its ability to find new customers, focus marketing spend, and improve its online marketing performance. The company hired BKM to refresh its brand and modernize its current marketing strategy in the context of the owner’s growth goals, traveler needs, and an intense competitive environment. BKM first completed a situational and competitive assessment, which guided the development of a detailed marketing plan to reposition the company’s brand toward higher value audiences and define new core messaging. BKM then designed, wrote and programmed a new inbound marketing optimized website on the HubSpot marketing automation and CRM platform. 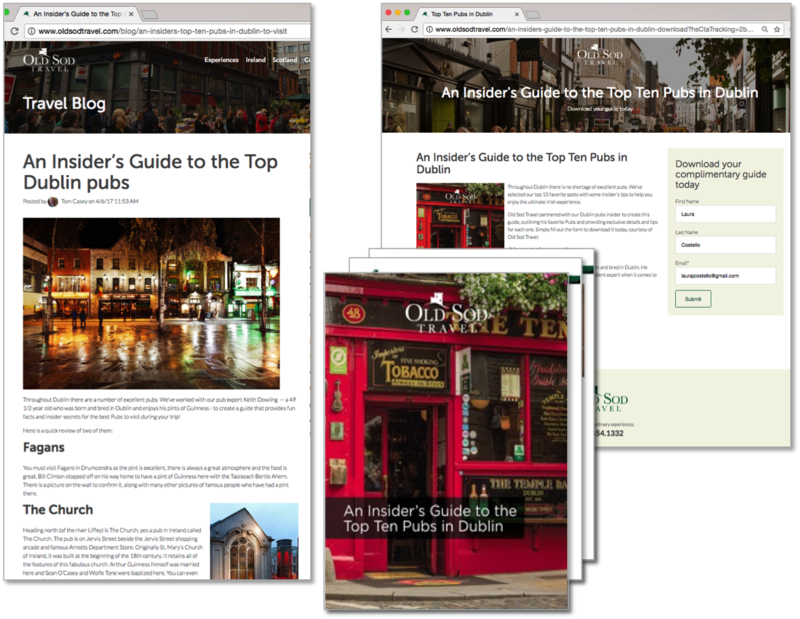 Within a week of the new site’s launch, site visits increased dramatically—to the point where the Old Sod Travel significantly reduced its Google Adwords paid search program. Most importantly, Old Sod Travel’s sales nearly doubled, with first quarter 2017 revenue increasing 86% vs. the same quarter last year. 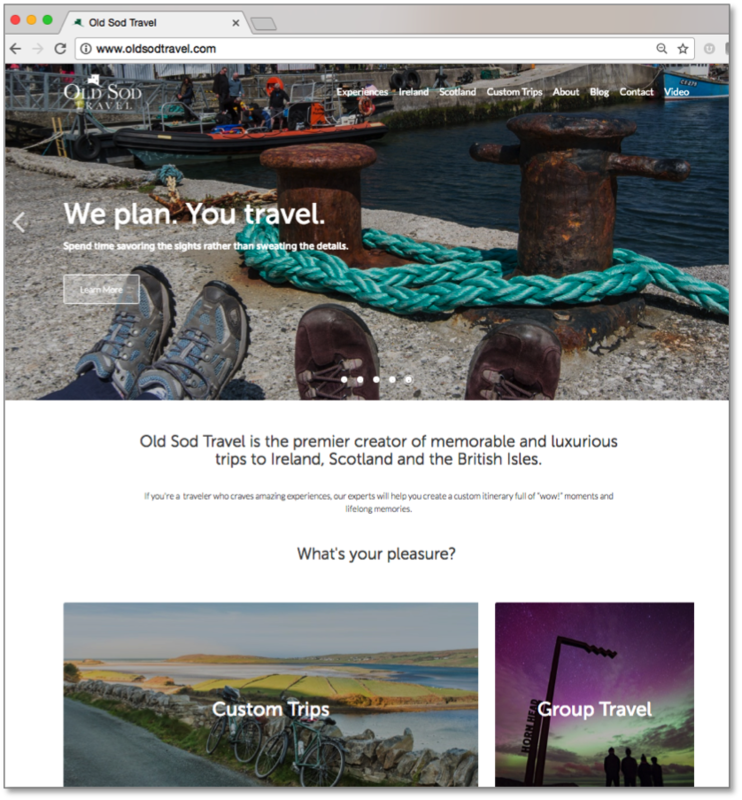 While meeting with dozens of contacts in Scotland, I continually received feedback that they were genuinely impressed with the marketing quality of the new Old Sod Travel website - and I believe more impressed with our business than they otherwise would have been. 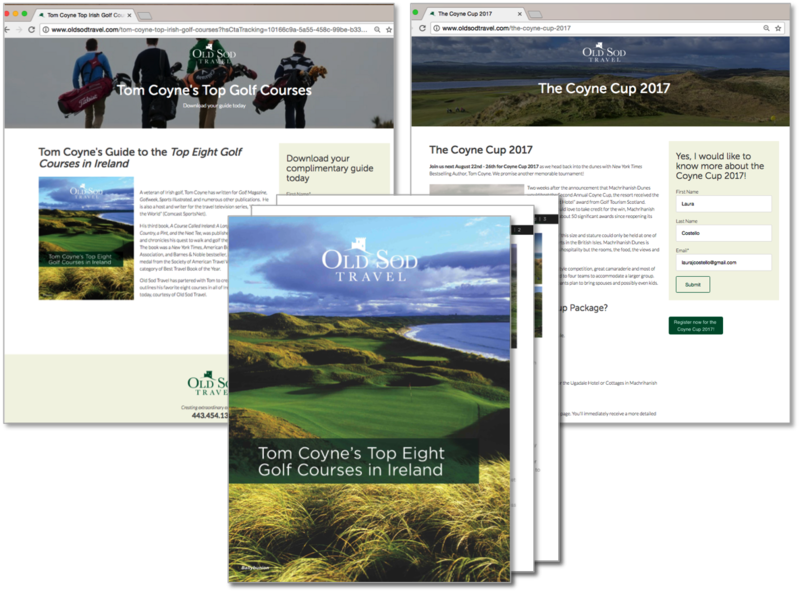 Our new brand identity and website content helped to drive credibility with a group that I hadn't been targeting but is clearly important to my business.